"The academic culture at Stevens is enriched by an exchange of ideas from people with diverse backgrounds in the broadest sense. Diversity drives research and innovation and enhances the educational experience of our students. As we move toward Stevens’ future as a premier, student-centric, technological research university, it is essential to provide our leadership and community with the knowledge and tools needed to create a culture of inclusion, enabling ALL faculty to contribute to the enterprise." The National Science Foundation's ADVANCE Program seeks to establish systemic approaches to increase the representation and advancement of women in academic science, technology, engineering and mathematics careers, thereby contributing to the development of a more diverse science and engineering workforce; providing a richer educational experience for students and a more intellectually stimulating environment for faculty and administrators. NSF ADVANCE is not about preferential treatment for women or lowering quality and standards. It is about eliminating bias, primarily unintended bias, present in the minds of men and women and embedded within policies and practices of organizations that result in unnecessary hardship for women to succeed in academia. In 2013, Stevens Institute of Technology received an NSF ADVANCE grant. The mission of ADVANCE Stevens is to create a sustainable culture that facilitates recruitment, retention and advancement of women faculty with a focus on academic STEM careers. Research reveals that the strategies, practices and policies implemented through this effort benefit men as well as women faculty. 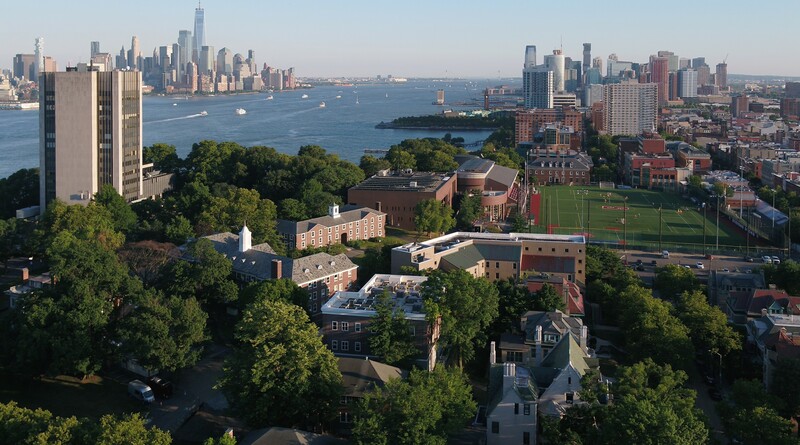 Given the complexity of leveling the academic playing field for everyone, ADVANCE Stevens engages ALL faculty and academic leaders in developing and implementing creative strategies to realize these goals. The material on this webpage is based upon work supported by the National Science Foundation (NSF) under Grant No. 1311792. Any opinions, findings, and conclusions or recommendations expressed in this material are those of the author(s) and do not necessarily reflect the views of the National Science Foundation. In January 2014 and October, 2017 the ADVANCE Stevens Academic Workplace Study was administered to all full-time faculty members.The study included an online survey and one-on-one interviews to understand faculty experiences of the workplace at Stevens. In 2017, 63% (185) of the faculty responded, and there was a similar response rate in 2014. The results of this study have been disseminated to faculty and academic leaders. Findings inform policy and practice moving forward, and discussions and programs are ongoing. A survey of benefits and policies provided by Stevens and additional benefits offered by some benchmark universities was conducted with 48% of full-time faculty responding. The key finding was that faculty were not aware of 15 of the 26 benefits and policies that Stevens offers. Progress has been made to effectively communicate Stevens benefits and polices with the launch of a new Human Resources website. Guidelines and Best Practices to Conduct a Faculty Search is updated and distributed annually and used as a resource for discussions with search committees. The “Power Play” acting troupe from the University of New Hampshire visited Stevens to perform vignettes on unconscious bias in faculty hiring decisions and performance evaluations, which was followed by an interactive discussion on strategies to overcome these issues. Over 50% of the faculty have participated in interactive workshops focused on increasing awareness and mitigating consequences of unconscious bias related to faculty hiring, retention and advancement. Twenty-one women faculty members participated in ExcelA: Excel in Academia, a professional development pilot program. Led by experts in faculty development, institutional transformation, and diversity, women faculty were engaged in workshops to develop leadership skills, mitigate unconscious bias, become more productive writers, and negotiate and communicate more effectively. The Provost's Lecture Series on Women in Leadership is designed to showcase the achievements of prominent and successful women and to motivate the next generation of leaders. It provides and opportunity for women to share their individual experiences and discuss the unique challenges and opportunities they face. This material is based upon work supported by the National Science Foundation under Grant No. 1311792. Any opinions, findings, and conclusions or recommendations expressed in this material are those of the author(s) and do not necessarily reflect the views of the National Science Foundation.